Tired of the same old? Then, let the Artiss Staircase Display Shelf bring a touch of stylish creativity to your storage decor. 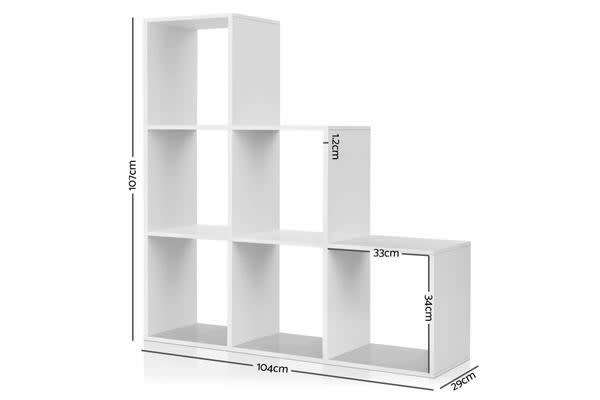 With its step design, the Staircase Display Shelf creates unique storage spaces that can help to highlight or focus your displays. Be it your favourite books, treasured memorabilia or prized collectibles, the Staircase Display Shelf really helps to accentuate your collection. Helping it stand out with a bit of story telling. 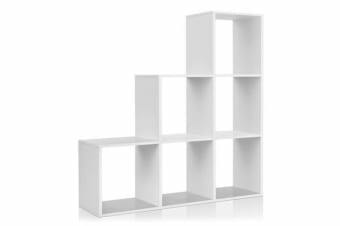 Crafted from 12mm thick E1 board with a smooth veneer finish, the 6-cube Staircase Display Shelf is durable and sturdy and designed to last. With its matchless quality, you will surely not be disappointed with the Artiss Staircase Display Shelf. Get yours today.